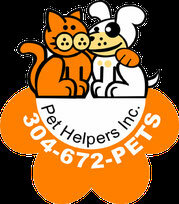 Events - Website of Pet Helpers, Inc. These are some photos from a fun filled day at the Pet Parade during the Benedum Festival at Bridgeport City Park on July 12, 2014. We enjoyed seeing several Pet Helpers Alumni participating in the event.